Do you use social media for your business? If you don’t, you probably should. 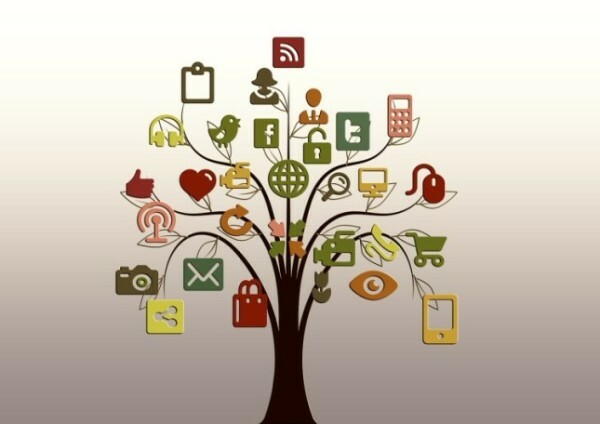 This blog show’s you how social media is a useful tool to target your audience. Anyone that knows me will tell you that I am a bit of a makeup and skincare enthusiast (understatement of the century). I actually used to work for a few well known cosmetic companies and feel like I had exclusive inside knowledge about the way the industry works. I naively thought I was immune to their advertising because I knew exactly how it was constructed. Here starts my story of how one particular company managed to prove me wrong. To begin; I’d like to make it clear that I don’t underestimate this company. They are one of the “big dogs” and know exactly what they’re doing. They own lots of other brands you might not be aware of and I can guarantee you’ve bought something from one of those brands at some point. I am like most other 20-somethings in that I check Facebook like it’s my morning newspaper. Cosmopolitan Magazine – Don’t judge, it’s where I learned how to wash my hair after a perm. Beyoncé – Predictable, but I love this woman, if she unexpectedly drops another album, I need to know about it. Nando’s – Update: Cornwall still doesn’t have one, shocking I know. However, if I can win a free chicken by ‘sharing’ their post, I’m going to do it. A few months ago, I liked this particular cosmetic brand on Facebook. During one of my one-eye-open-too-cold-to-get-out-of-bed-yet mornings; I noticed they were starting a countdown for the launch of a new product. I needed to sign up to their mailing list to find out more. I was interested but thought “Pff… hand over my personal details so you can target me with direct mail… I don’t think so.” I’ll be honest I felt pretty smug. A few mornings of this countdown later, I started to feel that I was out of the loop. When I worked for these brands I knew about the launches months beforehand but now I have to wait like the other mortals, this is quite an adjustment for me. I waited patiently for the product launch, this is where they reeled me in. As with all cosmetic campaigns; a beautiful celebrity with flawless skin was staring at me from an airbrushed advert. The link on Facebook took me directly to their website where I could purchase the product. Nice try ‘cosmetic brand’ but you haven’t sold it to me yet. At least I know what all the hype was about. What’s this? They’ve just posted a blog from a well known beauty blogger. She appears to be unbiased and even has some criticism about the complicated language the company uses to describe the product. A factual and seemingly honest review which proves that humans use this product, not just Penelope Cruz. Well played, you’ve spoken to me from a less intimidating and more accessible platform. I’m still not won over completely. The next day they posted a YouTube video on Facebook from a renowned makeup artist (who also happens to work for this brand). She demonstrates exactly how to apply the product and tells me why it’s the best thing since sliced bread. They’ve finally found my weakness; a straightforward, factual video that takes absolutely no effort to watch but tells me everything I need to know as a consumer. Finally, yes – I’m sold! I go to my chosen store to buy this product; I am presented with leaflets, posters and a friendly specialist who doesn’t have to work very hard to sell me a product which, in my mind, I’ve already bought. The key here is that if you have something worth selling, you need to try different message formats to speak to your target audience. This marketing was so cleverly thought out to target me there is no surprise that it worked. The more ways you interact with your patients or customers, the more opportunity you have to reach people. Social media is such a huge part of our lives and delivers your target audience to you. Be selective about the channel you’re using and keep it fresh with new content and concise messages in every suitable format to speak to your audience. We can help with your digital marketing needs at all levels. If you’ve got a strategy in place you’re not sure is working or you don’t know where to start – give us a call.